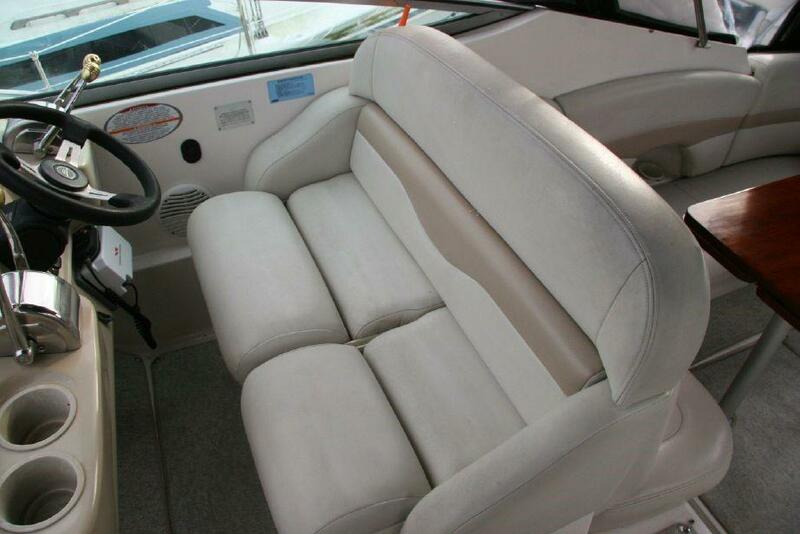 The Chaparral Signature 350 is roomy, stylish, and elegant. 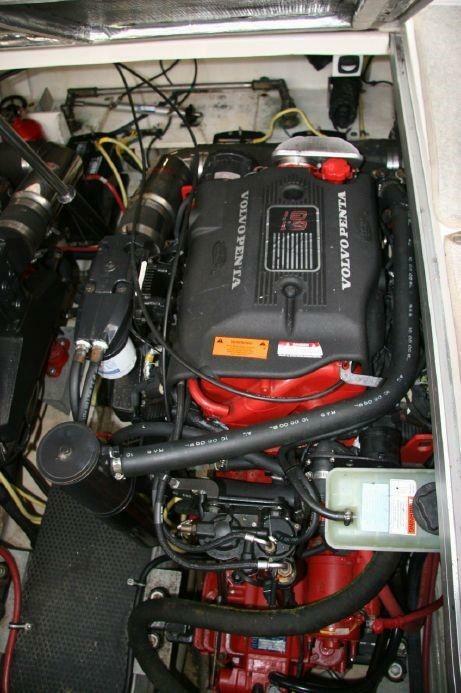 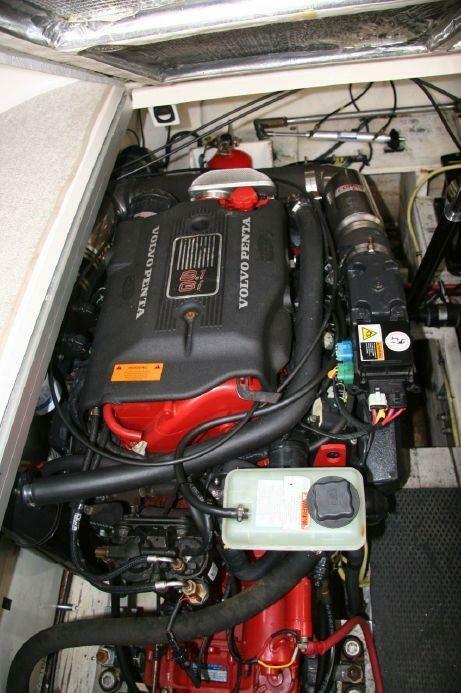 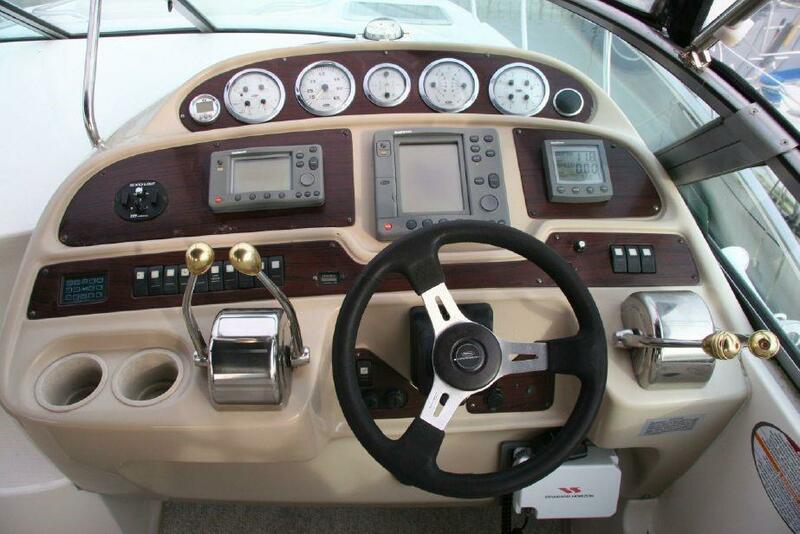 Her 8.1 liter Volvo engines with v-drives makes Equinox seaworthy and fun to drive. 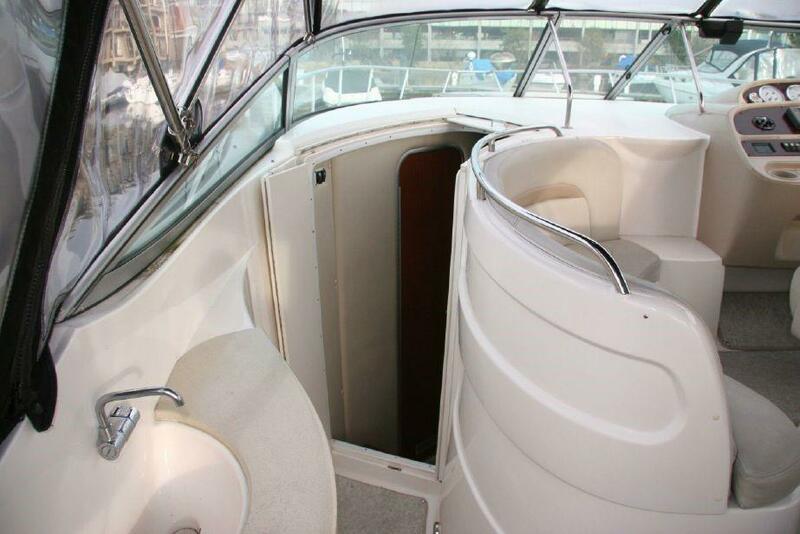 Aft, an extended swim platform makes for easy boarding and watersport activities. 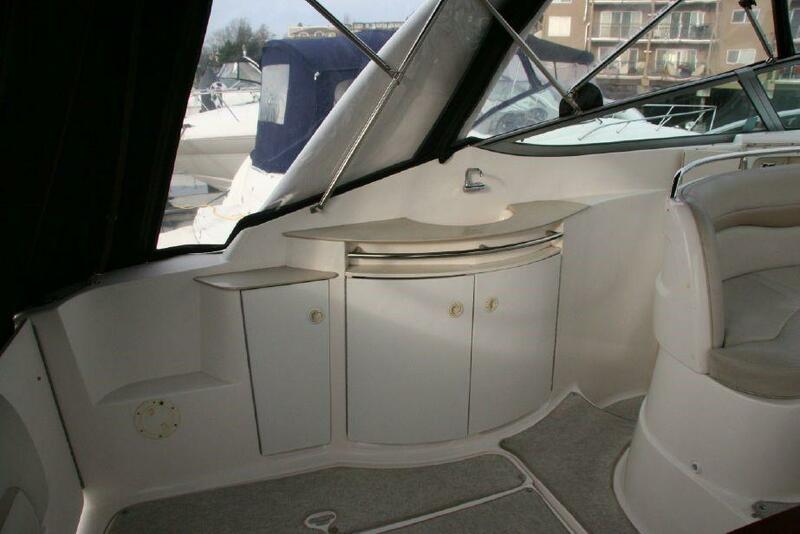 A recessed anchor roller / rope locker is protected by 1 1/4-inch stainless steel rails and the cockpit includes a wet bar and ice maker and is designed for family fun. 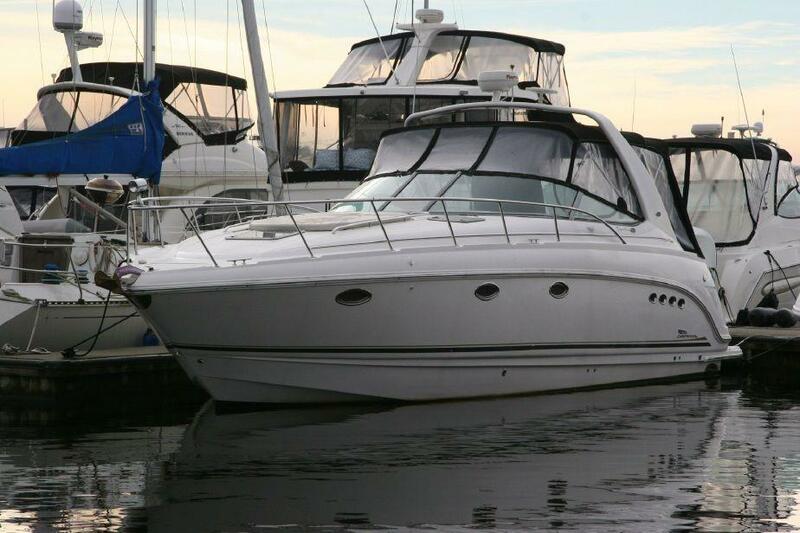 A forward-raked radar arch blends perfectly with the 350's award-winning styling. 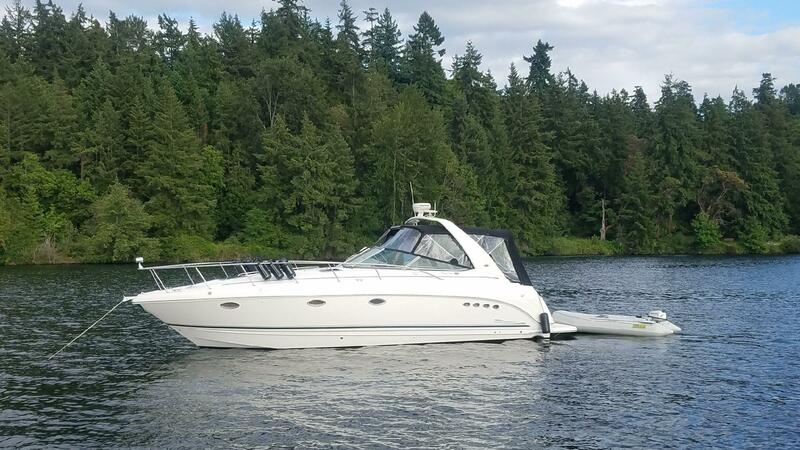 The Signature 350 is a very open boat with a forward master cabin with a sliding accordion door and a very large inviting aft cabin which converts from an open seating area to a large berth with a sliding accordion door. 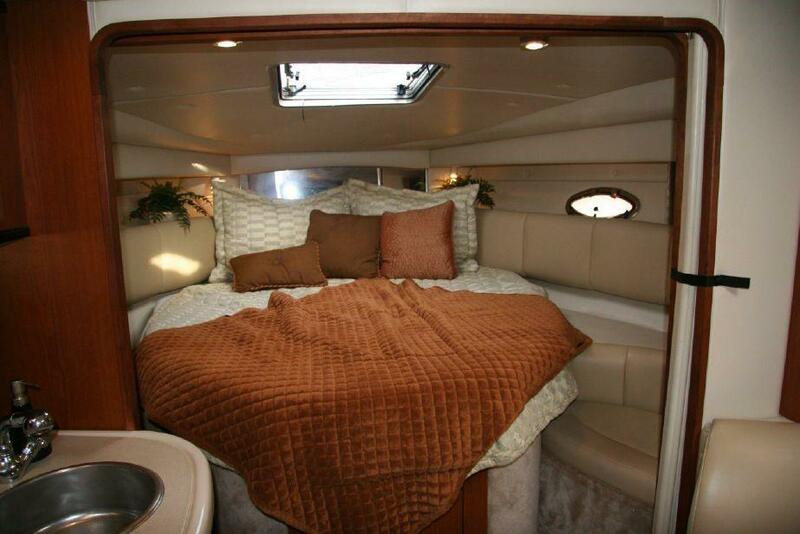 The settee is to starboard and has ample seating and also converts to another bunk. 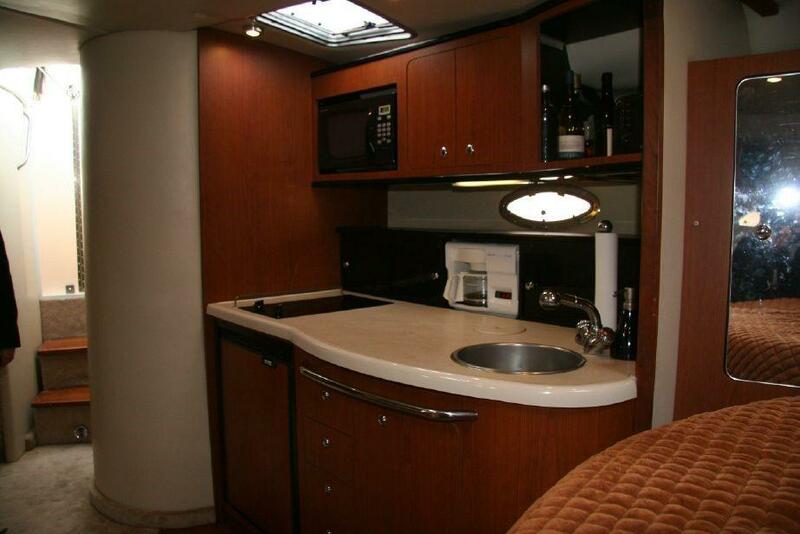 The galley is to port and includes a two burner cooktop, refrigerator, microwave, and coffee maker. 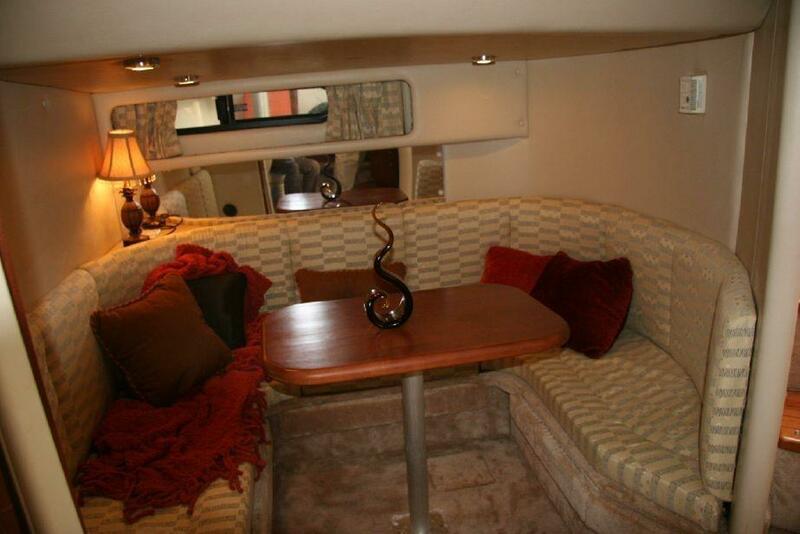 This boat has a huge cockpit and seating enough for your family and all your friends. 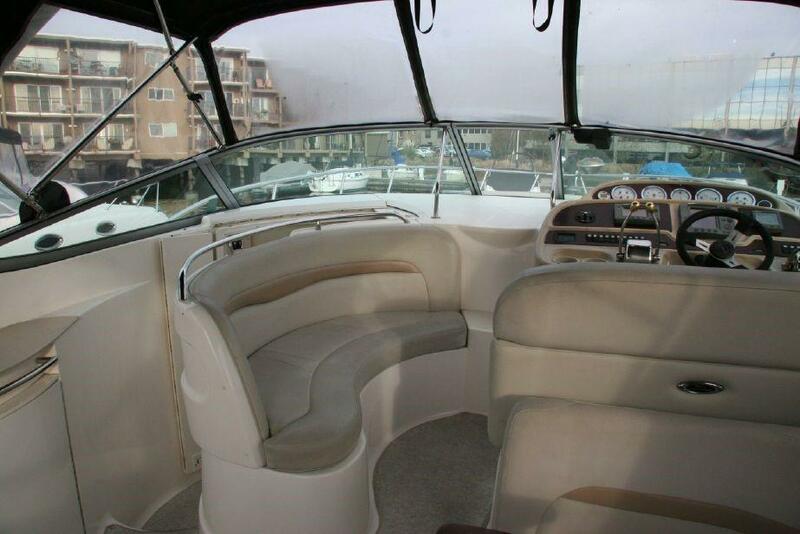 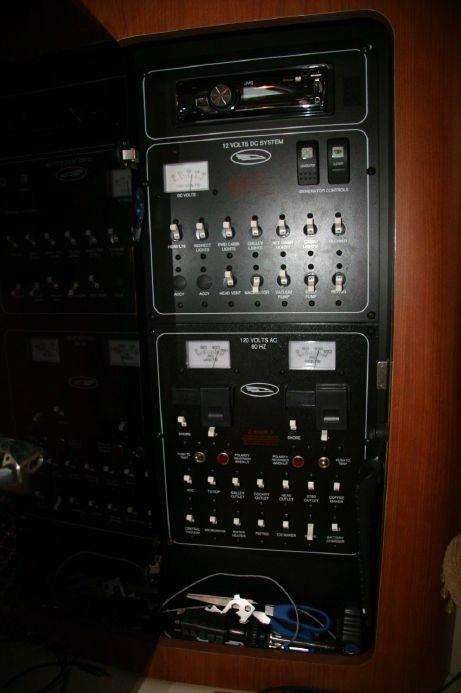 There is a two person cockpit seat with flip up bolsters, and a three person bench seat just to port so up to five people can sit and talk around the helm station. 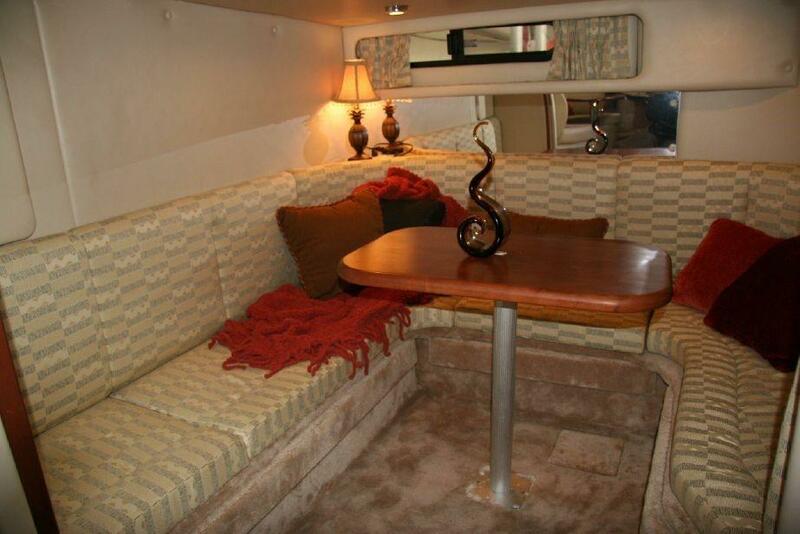 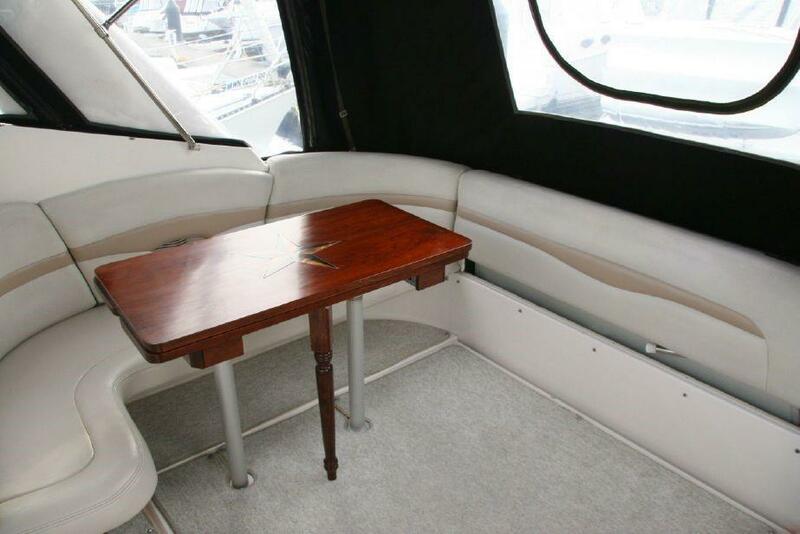 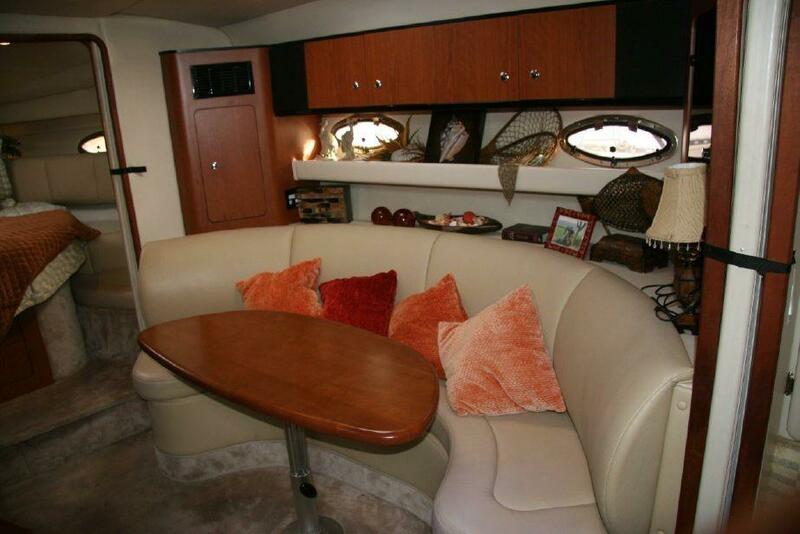 The aft cockpit area includes a flip away bench seat across the transom so you can stow it for more room and a custom built folding table that makes a table for four or fold it out to accommodate up to eight people sitting at the wrap around seating. 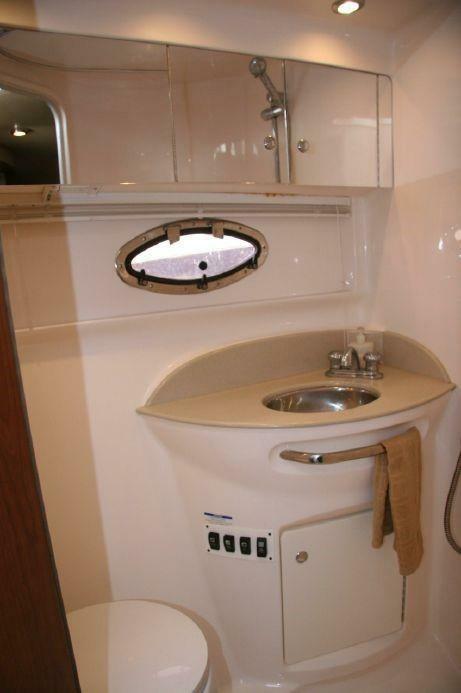 The aft cockpit also includes a cold sink with counter area, storage, and an icemaker for drinks.